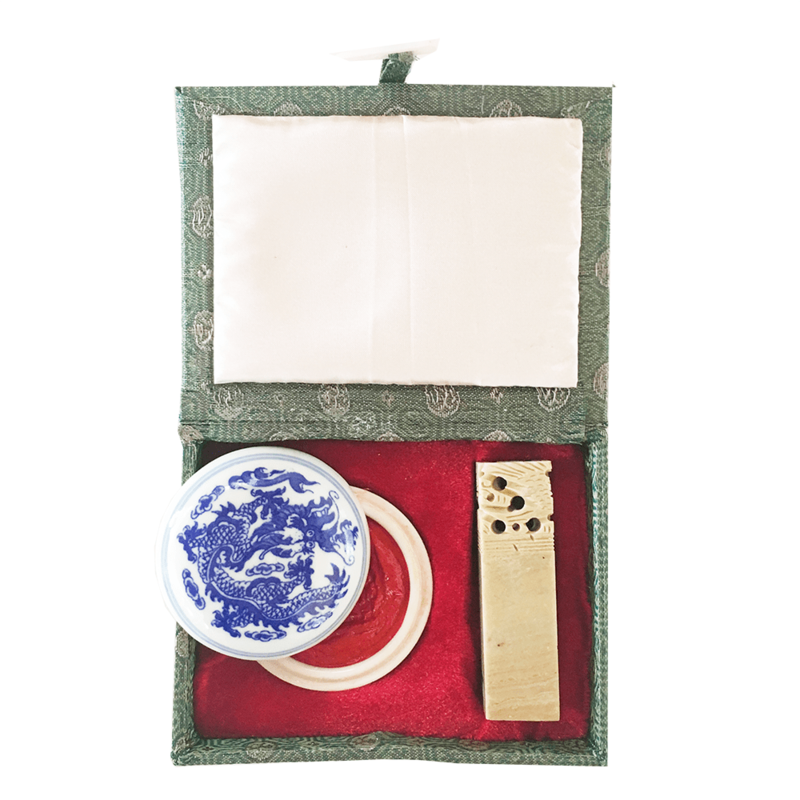 In Chinese, Japanese and Korean painting, the personal chop or seal establishes the artist’s identity and is used to authenticate the painting. This authentication seal is the artist’s signature, which when also written serves only as a secondary identification. The artist also may use mood or side seals to convey transcendent themes. In ancient China it was customary for each successive owner of a painting to add his own personal seal to that of the artist. This custom provides a valuable history of the work and accounts for the proliferation of seals found on old master paintings. In those dynastic days, only persons of great privilege, wealth, and position could own or sponsor such works of beauty. Your name chop is your very own individually carved name seal with characters selected by the carver to best convey your first name in Chinese. 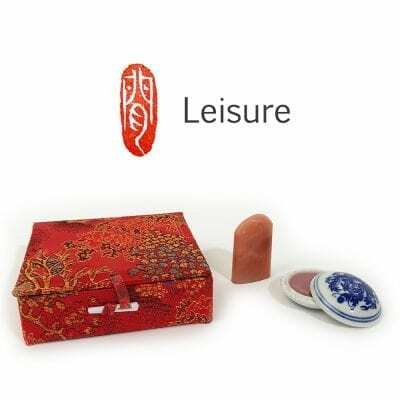 The set has red ink, a case and the soapstone upon which your personal name in Chinese is carved. Please check the mood Mood Seal description for stamp size. Various browser characteristics may distort the image size. If there is a special mood seal you do not see, we will make every effort to obtain it for you. Seals are either carved in relief so that the characters appear in Red on a White background, or intaglio so that the background appears in Red and the symbols are White. As you will see in my collection, it is important not only to have a variety of shapes but also seals carved in both relief and intaglio. In years past, seals were carved from elegant materials such as jade and ivory; today, most are carved from soapstone. Many have interesting flowers or figures carved on the side or top of them, making the seals themselves aesthetically pleasing. Seals are great fun to collect. If you find an interesting-shaped seal that is uncarved on the top or side, we would be glad to have your own saying carved on the stone. For your name, I recommend a name chop or seal that is carved in relief and about three-quarter-inch square. Your name will be translated phonetically with a Chinese character representing each syllable. The skilled carver will pick the loveliest meaning for your sounds. This personal authentication seal says “Auspicious Orchid,” my Chinese name. It is Red with a White background carved in relief. Helpful Hint: I place a maximum of two mood seals in addition to my personal chop on any painting. 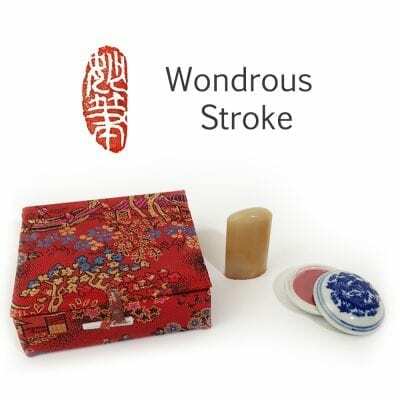 Mood seals are used to enhance your painting, so great thought is given to their placement. Before making your imprint, take little pieces of paper with your seal imprints and move them about on your painting until you are pleased with the placement. A triangular seal placement works well, as does lining up the seals to balance the composition. Whatever placement you choose, always keep your seals along the borders of the painting and practice placing the seal straight and properly aligned onto the paper, not tilted. Your personal chop is carved under the direction of Nan Rae. Because your painting is enhanced by the addition of ‘mood’ or ‘side’ seals, it is suggested that you use two seals in addition to your name chop and position them in a triangular shape. Perhaps place your name chop at the lower right of your painting and then the two mood seals at the upper and lower left of your painting. Sometimes I line them all up on one side. I have many seals in my collection and select them to harmonize with the design and mood of my painting. It’s great fun discovering all these stones for you and then having the perfect saying carved on them. The calligraphy was done by artisans from China. 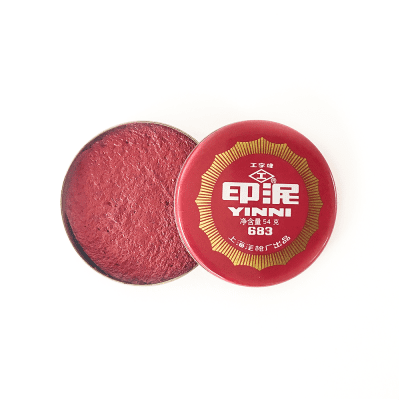 Each seal comes attractively boxed or pouch with a red seal ink pad. Chinese seals, as a distinctive art form include the ancient seals and the literati’s seal carving that developed from very early time. Originating from designed mould stamps, bronze seals appeared in an embryonic form in the period of Shang and Zhou dynasties (ca. 16th-771 BC). They were first used as an official validation of authority power by high-ranking officials and later widely used as a signature by private persons due to the changes in social structures. Since the 16th century, the literati of the Ming dynasty combined the art of painting and writing with the art of seal carving, bringing forward the very ingenious and scholarly flavored styles of literati seal carvings. 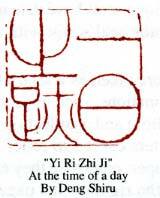 This kind of seal script with an irregular and complicated structure was mainly used in the Warring States period(475 -221BC). This script with neither too round nor too square characters was commonly used for the Qin and some Han seals (221BC-AD220). As a major script for the Han seals, the Mou script modified characters with more curved strokes on the base of the Xiao seal script. 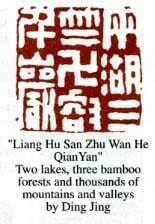 It is a kind of modification of seal script, which made characters in form of a bird, fish or insect. This seal script was sometime used for private Chops of the Wei and Jin dynasties (220-420) with vertical strokes ended pointedly like a needle. It is seldom seen in Han (206 BC~ AD 24) and Jin (265-420)Chops, but often in Song (960-1279) and Yuan (1271-1368) private Chops. It first appeared in the Sui and Tang official Chops (581-907), and was continuously used for the Jin, Yuan, Ming and Qing (1115-1911) seals. Xi: It is one of the Chinese names for seals, referring to both official and private seals before the Qin dynasty (221 BC), but only to emperors’, empresses’ and princes’ seals after Qin. Other officials’ seals were called Yin then. Empresses’ seals were also called Bao in and after the Tang dynasty (618-907). 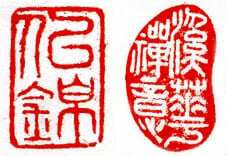 Official seal: In ancient China, official seals, as a kind of certificate, were offered to the officials at the time when they were appointed to the posts. So, their seals vary in size, material and shape with their posts. Different ages have different styles. 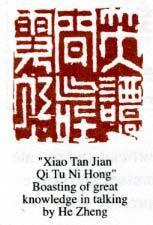 The Qin and Han seal characters were made by carving or casting; the Sui and Tang characters were carved in low relief; the Song seals have date marks; and the Jin, Yuan, Ming and Qing seal characters are mostly carved in Jiudie seal script with multiple and parallel strokes. Furthermore, seal knobs also vary with ages. Private seal: In ancient times, private seals were taken as a kind of erupt of a person’s identity. 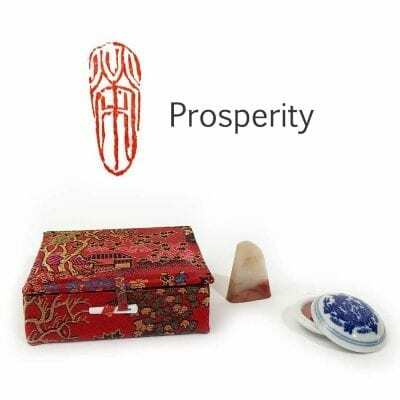 They could have different contents for different functions, such as seals of a person’s name, a studio name, an auspicious phrase, a zodiac animal, an idiom and a collection appraisal mark. Red legend and white legend: Seal characters carved in relief are called the red or positive legend as they are in red when being stamped on paper; otherwise they are called the white or negative legend. The seal shown at the bottom corner on the right of this page is a good example with two legends on one seal. The character on the right is the white legend and the one on the left is the red. Design seal: Seals carved with a design of figures, creatures, vehicles and architectures belong to a special type of private seals. It was popularly used as auspicious wishes or design mould stamps in the Warring States period and Han and Jin dynasties (475 BC—AD 420). Horse brand stamp: Being a special type of ancient Chinese seals, horse brand stamp looks similar to ordinary seals but was only used to brand a horse for identification . 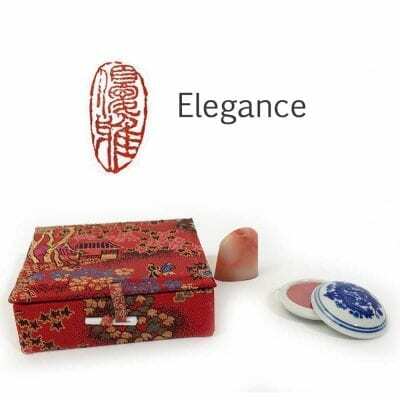 Seal knob: Most of ancient Chinese seals have a pierced knob in shape of a nose, an arched tile, a trapezoid, a serpent, a turtle, a camel or a horse on the top for handling and stringing. It could also be regarded as rank marks of official seals. Private seal knobs have more varieties. Seal inscription: In addition to the seal characters, some seals also have inscriptions on the top and sides. 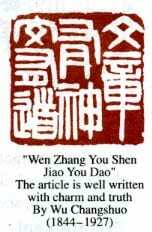 The Sui, Tang, Song and Yuan (581-1368) seal inscriptions usually give the date and content explanation. And the Ming and Qing (1368-1911) ones have more contents as an art component of the seals. It is a kind of art executed on seals, the beauty of which is expressed by its calligraphy, composition and techniques of carving. 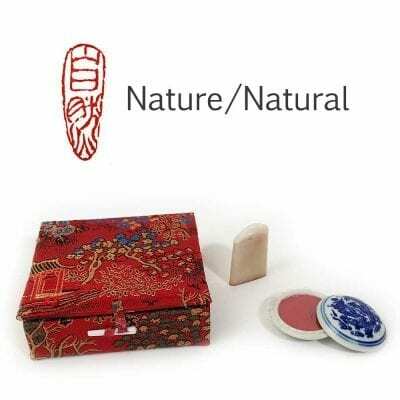 In the period of the Song and Yuan dynasties (960-1368), stamping seals on the works of painting and calligraphy came into vogue among painters, calligraphers and painting and calligraphy collectors. In addition to the personal names, studio names, collection appraisal signs and set phrases were also carved on seals. So, many intellectuals did their own creative carving of seals on stones, and a group of celebrated literati seal carvers had grown up by the mid Ming period of 16th century. Their distinguished styles in carving, composition and calligraphy exerted great influences on later seal carvers and various seal carving schools formed after them. 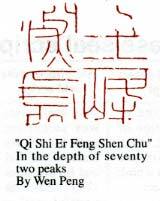 Wen Peng Wen Peng( 1498-1573), the originator of the Ming literati seal carving and good also at painting and calligraphy,made a great contribution to the development of Chinese seal carving. His seal characters look very delicate and neat. He Zheng and the Huizhou school He Zheng (1530-1606), a seal carver of the Ming dynasty, followed Wen Peng at his early period of seal carving and later formed his own steady and vigorous style with the influence of Qin and Han (221 BC-AD 220). As most masters of his followers were natives of Huizhou (today’s Anhui area), people call them the Huizhou school..
Late Qing seal carvers In the late Qing period (19th century), blazing new trails and pursuing individuality was the main trend of seal carvings. The carvers assimilated the techniques of previous masters and brought forth their individual styles in practice. Wu Changshuo’s bold and vigorous style is a very good example. This trend has a deep influence on modern seal carving. Deng Shiru and the Deng school DengShiru (1743-1805) made himself a famous seal carver of the Qing dynasty out of his outstanding achievement in calligraphy. 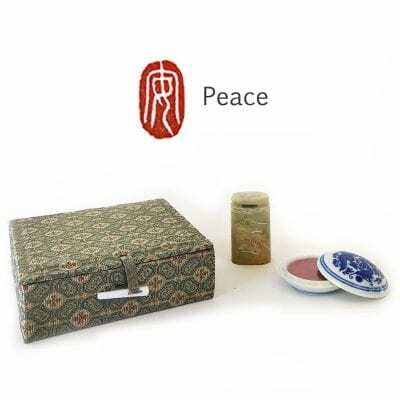 He broke free from the convention of the Qin and Han seals and established a very natural and graceful style for seal carving. As later so many Qing seal carvers followed his style, the Deng school of seal carving came into being. Materials for SealsAncient Chinese seals were mainly made of metal, jade, stone, ceramics, bone and ivory. In the Ming dynasty (1368-1644), stone seals became popular, that gave the priority in material to the rise of the literati’s seal carving, thus pyrophyllite becoming the main material for seals since then. 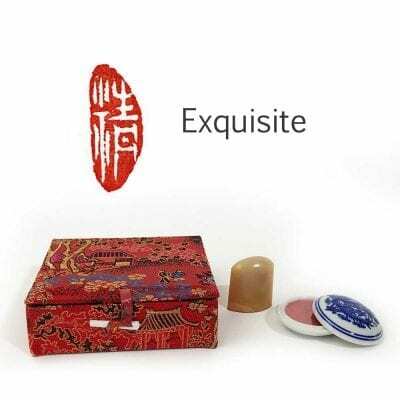 Qingtian stone It is the most common seal stone originated from Nanfangshan and Shankou areas of Qingtian county, Zhejiang province. The ones with translucent jelly-like grains of “‘dengguangdong” • (lamp light jelly) and “fengmendong” (seal door jelly) are the best in quality. Changhua stone It is from a place named Changhua in Lin’an county, Zhejiang province. The ones with pure and translucent jelly-like grains of “ou’fengdong” (lotus-root powder jelly) and “manaodong” (agate jelly) are the best, and the one with red grains, known as “chicken-blood stone” is the most famous of the kind. Shoushan stone The stone from Shoushan, Fuzhou city, Fujian province varied greatly in quality. 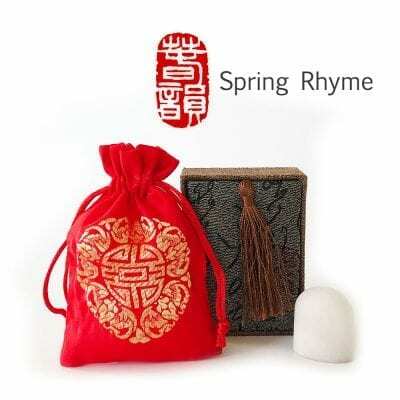 The yellow Tianhuang soap stone is the most expensive, and the “baifurong” (white cottonrose hibiscus) and “yunaodong” (fish brains jelly) are the famous types, too.